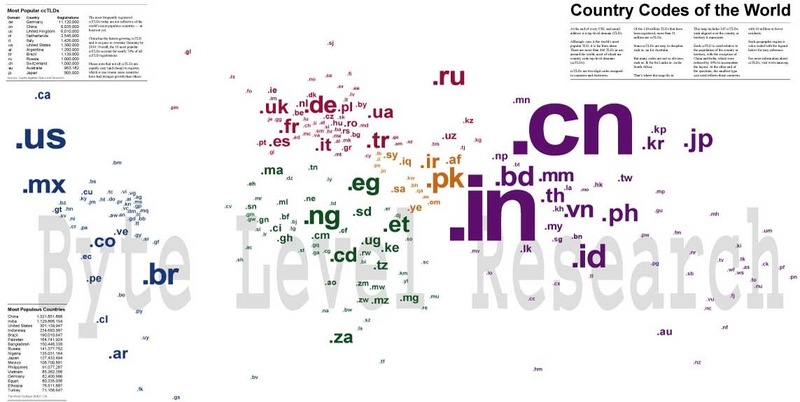 This world map features the Top Level Domains (like .cn for China, .jp for Japan or .us for United Statues) associated with different countries of the world. The size of the font is in proportion to the population of the country and has nothing to do with the number of domains registered with that TLD. That’s the reason why China and India stand out.